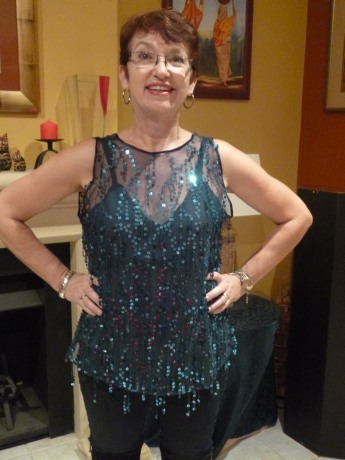 This fabric was irresistible ,the sparkly sequins hang down from the sheer fabric so I used a crepe to make a camisole. 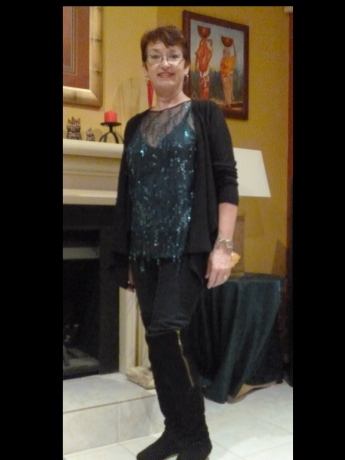 I gave the top a v neck opening on one side so that it is reversible it is fun to wear a little bit of shine. 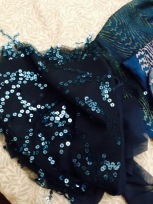 I used navy satin bias tape to finish the neckline and armholes. It was a quick little project .